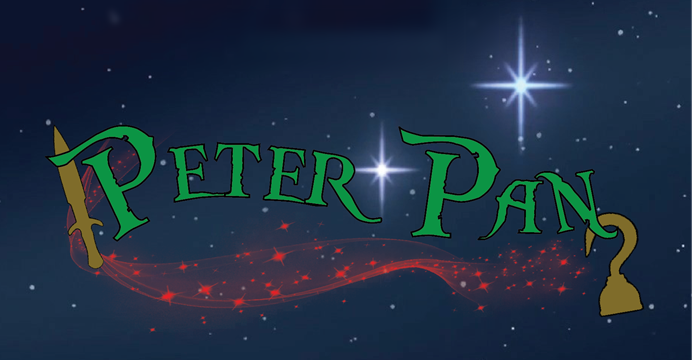 This is your chance to participate in our upcoming production of “Peter Pan”! During this memorable experience, participants will gain confidence, work cooperatively with others, and be responsible for meeting deadlines and expectations. Adults can join us on stage as well, or participate in the production in a variety of ways. This will be both fun and challenging while participants learn about the essentials of acting, music, dance, and stagecraft as well as theater history. We look forward to nurturing your imagination and creativity in a way the entire family will never forget! Spring Venue: our production of Peter Pan will be held at Bayside Performing Arts Center in San Mateo April 4-14, 2019. "When you are sleeping in your silly little bed, you might be flying about with me, saying funny things to the stars." Auditions for Peter Pan will be held in January 2019! Prior to the auditions, we invite you to join us at our free Audition Workshop in December 2018 to make sure you have the song and monologue choice that’s just right for you! Learn more about each character…so you know which role you want to audition for. Learn the audition dance so you can show us your amazing moves! Come and work hands-on with the creative team on preparing for Peter pan auditions. Audition Format: Your performer will perform a song from a list provided by the staff. Performers should review the songs prior to the Audition Workshop. Please see About eTc Auditions and Audition Songs for more information. Note: If you have already prepared your own audition song, please confirm your selection with the artistic staff at the Audition Workshop. Date: December 16, 2018 12 p.m. to 3 p.m.
All participants will be cast in an ensemble role regardless of whether or not a speaking role is offered to them. All participants will perform in at least three ensemble numbers in the show. The audition process is a combined effort by the artistic staff and a board appointed representative. All will be involved during auditions and will participate in providing audition feedback to students. The audition team will make final casting decisions. Speaking and specialty roles will be double cast wherever possible, allowing more participants an opportunity to experience solo performing. As an ensemble-based theater group, ALL participants will perform in ALL performances in the appropriate/assigned ensemble numbers whether or not they have a speaking or specialty role. Rehearsals are held at Kirkpatrick's School of Dance in San Mateo. Rehearsals are held on Saturdays and Sundays for all cast and possibly some Tuesdays for lead characters and specialty dance. The Spring 2019 performance of Peter Pan will be held at Bayside Performing Arts Center in San Mateo, CA. If you are new to eTc or theater in general, many of your questions may be answered on the Family Involvement & Mainstage Policies page. Rehearsals for all cast are held on Saturday and Sunday afternoons in San Mateo. Specialty dancers and lead characters will possibly rehearse on some Tuesday evenings. Rehearsals are held in San Mateo. Tech Week rehearsals are 5:30-9:30 pm at Bayside Performing Arts Center in San Mateo. eTc must be informed of all conflicts for the entire season by the participant's audition date. Participants are allowed three conflicts, but those conflicts may not fall on Mandatory rehearsal days, during Tech Week, or during any performance. Please review the eTc Attendance and Conflicts Policy. Callbacks (by appointment only): January 19, 2019. Strike will be immediately after the April 14th matinee - All families participate in Strike, ALL actors are to stay until released. Registration fees are per person and include a complimentary T-shirt. *IMPORTANT NOTE: the registration fee does not include costume fees. The costume fee depends on the complexity of your character's costumes. The maximum costume fee is $125. You will be charged costume fees prior to the last show. Note: headshot fees are now included in the registration fee. All fees must be collected prior to the last show. Please review the Costume Policy for more information. Costume rentals are provided by eTc, but are the financial resposibility of the actor. Costume bills will be distributed prior to the closing of the show, and must be paid by the closing performance. The costume charge is based on the complexity of the costume(s), but will never exceed $125. Please review the Costume Policy for more information. Participants must provide their own shoes and makeup. Headshots are required. We contract with a local photographer to have them done on an all-cast rehearsal day for a nominal fee of $10 which is included in your registration fee. If you are absent on Headshot day, then the staff will take a headshot photo at the next rehearsal. You will receive the headshot as part of the bio after the show. We encourage you to purchase additional photos from our photographer. Each family is asked to procure a raffle prize. This may be donated by the family themselves, or they may solicit donations from local businesses. Families can purchase a volunteer requirement buy-out option for $500 during the online registration process if unable to volunteer 30 hours over the three month period. Please review the Mandatory Volunteer Requirement policy for more information. Parents are responsible for purchasing their own tickets to the performances. We often offer discounted ticket deals; these will be announced when rehearsals start. There is a small per-person fee for the company party to cover the facility rental. Sweatshirts and additional T-shirts (after the included participant t-shirt) may be purchased. Additional one-liners (after the included one-liner) for the program may be purchased. Raffle tickets may also be purchased. We offer both family and corporate sponsorships which include benefits such as playbill ad space, advance ticket sales, additional raffle tickets, and one liners. A limited number of full, partial and work scholarships are available and are awarded based on financial needs. Students on scholarships may be required to contribute an additional twenty hours of assigned duties. Please email bayareaetc@bayareaetc.org for more information prior to registering online. Please fill out this online registration form completely for all participants including adults and children. If you participated in the Wizard of Oz 2018, James and the Giant Peach 2018, Annie 2017, Narnia 2017, or Beauty and the Beast 2016 productions, then an account for your family should exist, please recover your password to proceed. If you need help, please email bayareaetc@bayareaetc.org. When checking out, you may choose to pay now with a credit or debit card, or to pay later and we will collect your fees at the audition workshop or auditions (check or credit card accepted). Payment must be received in full before auditioning. After completing the registration, you will receive an email confirmation of your registration. You will receive another email (Enrollment Confirmation) that contains links to Audition Signups and Forms that you must print out and bring with you to auditions. The forms are also available at the top of this page. Minimum Number of Participants: eTc needs a minimum number of participants to make the show financially feasible. If we do not have enough participants registered (minimum 60) then eTc reserves the right to cancel the production. Copyright © 2019 Bay Area Educational Theater Company. All rights reserved.